Inviting Elder Subdivision fully-renovated brick ranch minutes to downtown Athens & UGA Campus, ideally situated from in-town city hustle-bustle commotion, but easy access to city Loop & Highway 316. Recreational/cultural life nearby with UGA & Classic Center events, Firefly Trail, Greenway, golfing, & parks. Health clubs & shopping are within minutes! This retro-influenced 1956 3/2 home's exterior with complementary mixtures of color, texture, & pattern & stepping stones to the classic front porch enhance curb appeal, further distinguished by the attached 2-car garage with long driveway & expansive front yard with just the right number of trees for shade. Crawlspace has easy access & ample space for tools & mower. Lot is at the end of the street providing more privacy & no through traffic. Interior boasts a touch of elegance in beautiful, refinished original hardwood floors & new tile through the home. Spacious great room has natural triple-window light adding openness; large brick wood-burning fireplace offers cozy ambiance. Great room accesses sleeping quarters or flows to dining room, kitchen & breakfast nook, then easy access to sunroom & patio to relax, entertain, or weekend BBQs. Backyard is backed by neighboring wooded property. Trending today, the formal dining room can be lifestyle repurposed or welcome gatherings. Entryways to & from dining room are wide trabeations/cased openings providing openness & flow. A cook's delight fully remodeled kitchen has ample cabinetry, new stainless-steel appliances, granite countertop, center island dual fuel oven with down draft, serve bar, can lights. Convenient sizable utility room has sink, plenty cabinets, space for storage & adding a freezer! A restful repose, owner's suite includes 2 double-door closets, en-suite well-appointed bath--roomy glass shower, stylish free-standing double vanity & recessed dual-sided tri-mirrored soft-close cabinetry. Front large bedroom has 2 closets, plenty of natural light. 3rd large bedroom has 2 closets, chest/desk nook, French door to backyard! Sleeping quarters has quick access to renovated hall bath's contemporary freestanding vanity cabinet, tub-shower combo & linen closet & also has hall closet. Renovations: New roof, soffits/trim; completely remodeled tile bathrooms & kitchen, refinished hardwoods & tile throughout, new doors, hardware, can lights, electrical outlets, light fixtures, interior/exterior painting. All new plumbing, moisture barrier, HVAC & ductwork! Elder is a subdivision within the city of Athens, Georgia. There are currently 1 Homes for Sale within Elder, with asking prices ranging from $189,000 to $189,000. The average list price per square foot of the available inventory in Elder is $0, which is the Athens average of $227. The Average Sales price of all sold real estate in this subdivision for the past year is $103,800. Recent comparable homes have been selling for 92.11% of their asking price. Waterfront homes represent 0.00% of the available Elder inventory. The population of Athens, according to the 2010 Census, is 115,452. The total number of households in the zip code of Elder is 16,955, with an average household size for of 2.33 people. The total number of renter households within the zip code of 30606 is 9,063, which means that 46.55% of households in this zipcode are owner occupant households. 210 Elder Road, Athens GA 30606 is a Home, with 3 bedrooms which is recently sold, it has 2,225 sqft, .51-1 sized lot, and Garage,Other-See Remarks parking. 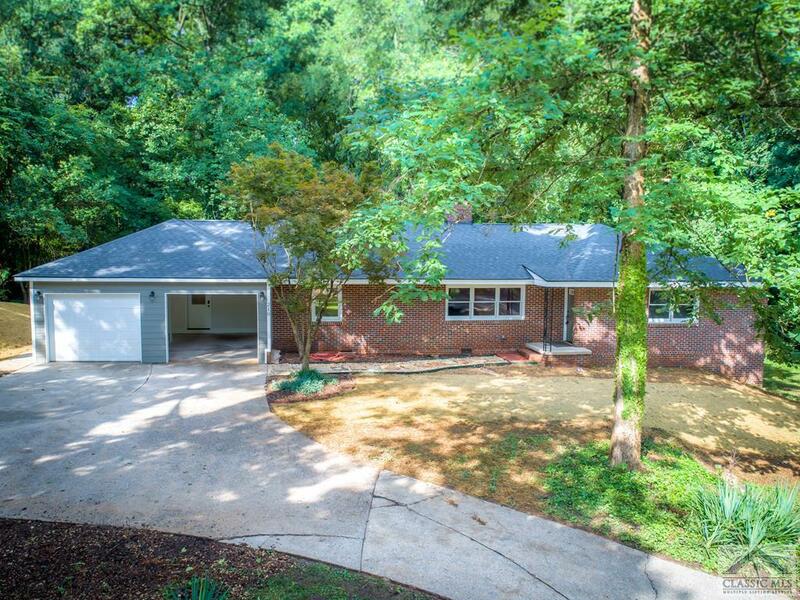 A comparable Home, has 2 bedrooms and 2 baths, it was built in and is located at 115 ELDER ROAD Athens GA 30606 and for sale by its owner at $ 189,000. This home is located in the city of Athens , in zip code 30606, this Clarke County Home, it is in the Elder Subdivision, and Bedgood Glenwood are nearby neighborhoods.